Life comes from God’s love. Everything and everyone was created from his love. We have to let ourselves be connected to the source of life, the living water that comes from Him. Imagine having to stretch 400 feet into the ground to find life, through mud and rock. Imagine what that tree had to go through and grow through in order to remain alive. Maybe you feel like you’ll never be good enough or strong enough or smart enough, or beautiful enough to get to God’s love. You’re right. None of those things will get you closer to his love. It is free. It is who he is. He does not need you to be good, strong, smart or beautiful. He is all those things and so much more. You are not going to figure it out or earn it or win it, you can only receive it. You can only experience it. Sound to simple, well maybe that’s too simple. Maybe you feel so far from God’s love you think you’ll never be able to experience or accept it. I don’t know what your life has been like. I don’t know the hand you’ve been dealt so I won’t pretend it’s so simple. Sometimes we have to get through the rocks and mud and dirt in our life before we get to the water, before our roots ever taste God’s marvelous love. It’s not always easy. If anyone tells you it’s easy they probably haven’t been through the junk you’ve been through. But it is there, his love is there. God is love, that’s what he’s made of. He’s not flesh and bones and blood and guts like us. He became that when he sent Jesus to hang out with us and die for our sins. He knows what it’s like to be just like you. To face all the things you face. His friends abandoned him, people hated him, people ignored him, they ridiculed him, they judged him and then they punished him on the cross. He did that for you, he experienced that for you because he loves you and he wanted to show you how much. “May you experience the love of Christ, though it is so great you will never fully understand it. Then you will be filled with the fullness of life and power that comes from God” (Eph. 3:19). I don’t understand why Jesus came and did these things for me, it seems crazy. I know I’m not good enough to deserve it, and I know I’m not smart enough to figure it out. I am sure, however, that he did it for me, but he did it for you too. I know I didn’t get through the mud and rocks and dirt in my life on my own, it was by the power of his love to keep on digging. God can and will do amazing things in your life if you ask him. “By his mighty power at work within us, he is able to accomplish infinitely more than we would ever dare to ask or hope.” (Eph. 3: 20) Maybe he’ll come and wipe away all the junk, he does that sometimes. He doesn’t always do that. Sometimes he just loves you through it, the long way, the difficult way, the 400 foot way, even when you don’t know he’s doing it, even when you don’t know he’s there. 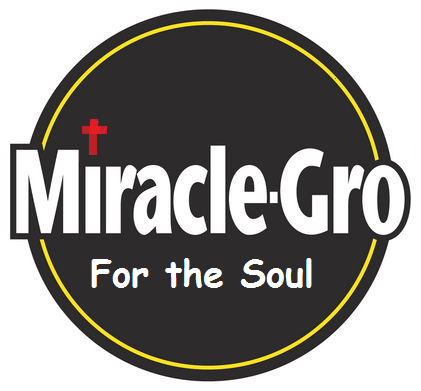 I wish there was some kind of process or formula for how to receive his love quick and easy, like Miracle-Gro for the Soul, but I don’t know of one. If anyone tells you they’ve got the 7 or 10 or 30 steps to anything I think they’ve been drinking Miracle-Gro. Maybe those things can help, maybe there are some steps you can take, but God created you. He created you. Someone else path to God may not be your path. Don’t get discouraged if their path doesn’t go through the same growth process as yours. Your roots may need to reach further. But they will be strong once they are firmly planted in the soil of God’s marvelous love. His love is there. This Fig tree must have taken years to get to whatever source what was hidden deep in the ground. But something sustained that tree while it grew into the depths. Obviously the soil on in the first 399 feet had some nutrients, some moisture, some life giving properties or the tree would not have last long enough to get to 400 feet. If you’re in that place now, where you feel like there is barely enough hope and life left to keep you going, please don’t give up. God is there, he loves you. He will sustain you through the rocks and mud and dirt. He will make a path to the living water Jesus offers us. Don’t give up when you are so close to his marvelous love. “I pray that from his glorious, unlimited resources he will give you mighty inner strength through his Holy Spirit.” (Eph. 3:16). Baby # 2 is in the oven.